Our bodies are made to cope with mild and/or intermittent stress. However prolonged periods of stress can begin to have a detrimental effect on our physical health, as well as our mental well being. Developed by Hans Selye, the General Adaptation Syndrome (GAS) represents three stages we go through in relation to stress. The first stage recognises our initial fight or flight response and we usually recover fairly quickly. The second stage is the resistance stage where the body tries to maintain homeostasis but you may have reduced energy and defenses. If stress levels remain high and continue over time your body’s ability to resist is lost and leads to burnout, adrenal fatigue and illness – this is the third phase know as the exhaustion stage. There are many options available to help cope with stress levels and reduce symptoms associated with stress and anxiety. One of my favourites, of course, is essential oils. Aromatherapy can provide easy, effective support during times of stress, not only helping us to relax and unwind but also providing immune support and helping to prevent disease. Some essential oils are also great for supporting the terrain, helping to strengthen a person’s ability to cope with stress and not move into the exhaustion stage as above. So how would essential oils help? Simply inhaling an essential oil can have an instant and powerful effect on our mind and bodies. Essential oil vapours enter the nose where we have olfactory (smell) receptors, which transmit information to various parts of the brain. This can produce an effect on our emotions, behaviour and hormonal activity. Our brain also identifies smells we know; producing a positive or negative effect on a person dependent on the particular memory evoked. Recommended Mother Nurture blends that have been tried and tested by many are Harmony or Calm essential oil blends or Balance Aromatic Mist (available under Nurture Pregnancy, Nurture Mother or Nurture Woman). Your choice of oil can depend on symptoms experienced and the cause of the anxiety. A consultation with a qualified aromatherapist will enable the creation of personalised blends and treatments specific to your needs. Many people reach for stimulants when they are stressed and need to get things done, but often we need something to help calm and balance the body, enabling us to carry on. 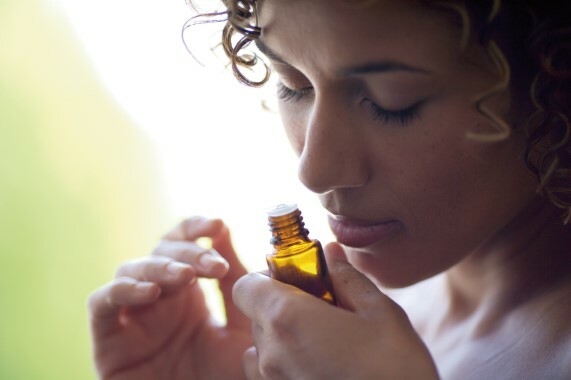 Whilst I usually recommend inhalation of essential oils as the preferred method of application for emotional disorders, an aromatherapy massage can also have a powerful effect on reducing stress levels. 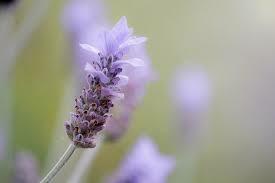 Various studies have shown how essential oils (Lavender being the most studied) and massage (extensively researched) can reduce stress hormones, increase feelings of well being as well as decrease pain and discomfort. If aromatherapy and massage don’t gel with you, discover your special way to unwind and de-stress. Yoga, acupuncture (another two of my personal faves), meditation, being outdoors, or even enjoying a simple pleasure such as cup of tea or a walk in the park. Studies have shown that having a pleasant experience can stimulate immunity for up to two days! I will never forget the words of a very wise man Dr Avni Sali, foundation head of the school of Integrative Medicine, who spoke at a conference I attended 14 years ago. He recounted how he would often give his patients a written prescription, not for pills but instructions to “eat quality dark chocolate”, “go to the beach” or “see a funny movie”. Why? Simply to reduce their stress and therefore enhance their physical health! 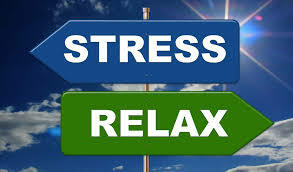 We can all make our own prescription for reducing stress and enhancing our well being, physically as well as mentally.